Do you have a car in Connecticut, but no title? Maybe you never received the title to your vehicle when you purchased it, or maybe you never got your vehicle registered in your name, and now you’ve lost your title. If this sounds like you, you aren’t stuck. You might be able to get a Connecticut Bonded Title. What is a Connecticut Bonded Title? 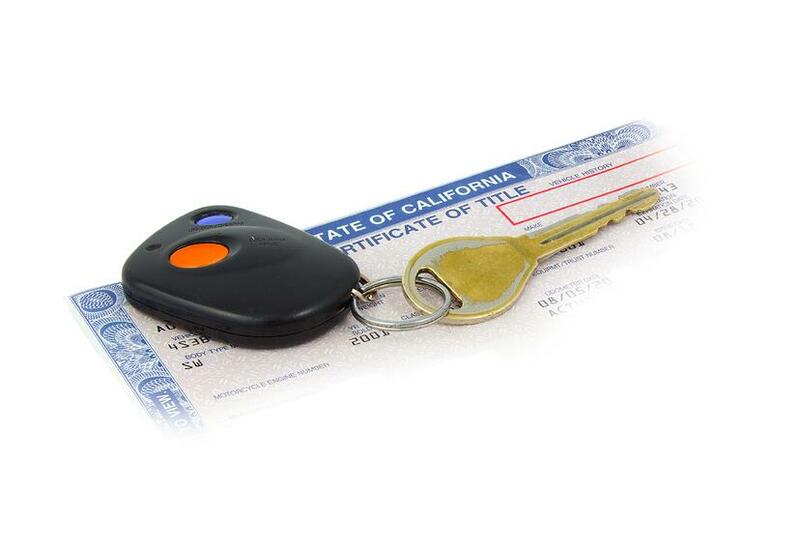 A Connecticut Bonded Title (also known as a Connecticut Certificate of Title Surety, Connecticut Lost Title Bond, or Connecticut Defective Title Bond) is a document that proves you own your vehicle. You can learn about the surety bond and your obligations at the end of the article. The following situations are cases where you might need a bonded title. This is not a complete list and you should always check with your local DMV to see if this is a valid option for you. *You do not need a CT Bonded Title if you lost the original title to your vehicle, but it was registered in your name at one point in time. In this case, you can simply get a duplicate certificate of title. Step #1: Contact DMV and make sure you qualify for a CT Bonded Title. You should always check with your local DMV before starting this process. They will be able to tell you if you qualify for a bonded title. Apply for the title in his or her name, sign off on title, and send title to you. Provide a notarized statement refusing to apply for a title. If there is no response from the certified letter(s) the DMV will want to see proof of this via returned mail. Then, move on to Step #2. If you must get a bonded title, the first step is to calculate your bond amount. Your bond amount must be for two times the appraised value of your vehicle. For example, if your car is appraised at $2,000 then you will need to secure a $4,000 Connecticut Lost Title Bond. Don't worry, this is not how much you will need to pay for your bond. Find the appraised value of your vehicle, then multiply that number by two. This is your bond amount. Then, move on to the next step. Need to know how much your car is worth? Connecticut approves Kelly Blue Book and NADA as acceptable guides for determining the value of your vehicle. The next step is to purchase your surety bond. You can learn what your obligations are when you purchase this bond at the end of the article. Purchase a bond from a surety bond company. Make sure you apply for the correct bond amount that you calculated in Step #2. After you purchase your bond, the surety company will mail it you in the mail. The DMV is the entity that issues you a bonded title. If your paperwork is approved, you will be mailed your bonded title. It will be marked with a "bonded" brand. This brand will remain on the title for 5 years. You can do anything with a bonded title that you can do with a regular title: insure the vehicle, register the vehicle, and sell the vehicle. When you get a bonded title, you are promising that you are the true owner the vehicle. You also promise to handle any claims that are made against your bond during the bond's term, which is 5 years. If someone comes forward later on and makes a claim against your bond (for example, if they make a claim against your bond saying that they are the owner of the vehicle and that you should not have been granted a bonded title) the surety company will likely start an investigation to determine the validity of the surety bond claim. If the claim is determined to be valid, and you fail to satisfy the claim, the surety company would satisfy the claim for you. The surety company would then come to you for reimbursement of that claim. You can learn more about the bond claim process here. Does My Connecticut Bonded Title Expire? Yes. Connecticut Bonded Titles expire 5 years from their effective date. If no one comes forward during those 5 years and makes a claim against your CT Lost Title Bond then you can go to the DMV and apply for the "bonded" brand to be removed from the title. Upon approval, you would be issued a standard/clear certificate of title. If you want to sell the vehicle before the 5 years is up, that is okay and you can do that. Your name remains connected to the surety bond, though, and you remain liable for any claims that are made against the bond during those 5 years.